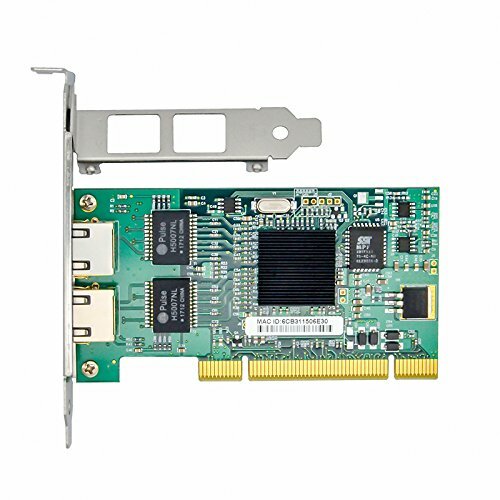 This 82546 chipset NIC is an 10/100/1000Mbps RJ45 Dual Port PCI Lan Card,based on Intel 82546 Chipset. It is designed to automatically scale with growing networks. With a flexible design that fits any type of PCI bus, the standards-based management features and wide network operating system support help to ensure extensive compatibility with the latest server and networking environments. High performance, reliability, and low power use in Intel 82546 dual integrated MAC + PHY / SERDES chip controller. If you have any questions about this product by Jeirdus, contact us by completing and submitting the form below. If you are looking for a specif part number, please include it with your message.